Are you using your backyard to its fullest potential? If you aren’t spending every warm summer night barbecuing, schmoozing, or roasting marshmallows in your beautiful backyard, then the answer to that question is no. It doesn’t take much to turn a boring plot of land into your own personal outdoor getaway. Keep reading to get some backyard reno inspiration. Even if you don’t think you’re that good at DIY projects, you’re probably more capable than you think you are. 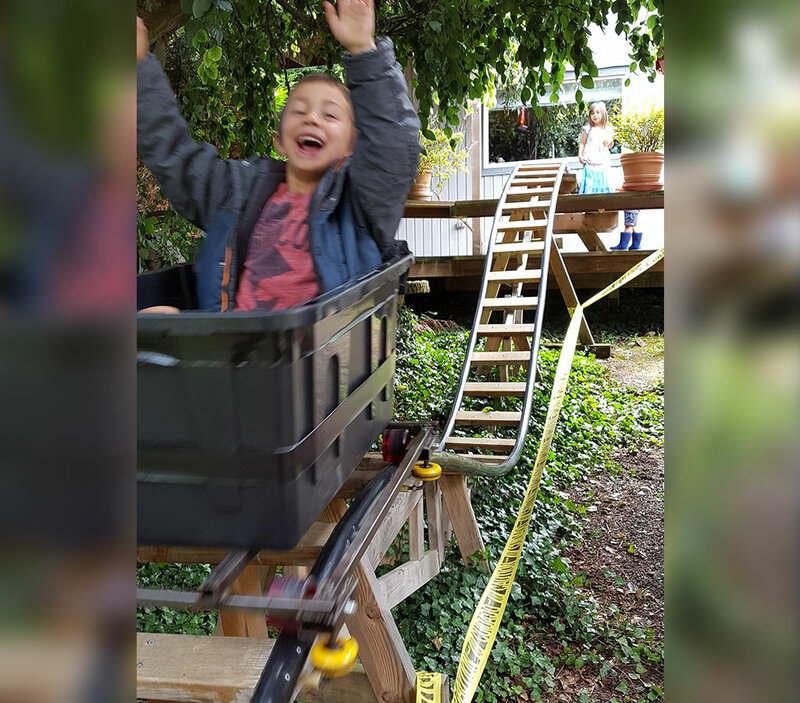 This grandfather retired from a career in aerospace engineering a couple of years ago, and he decided to put his skills to use making backyard roller coasters for his grandkids. Why can’t this guy be my grandfather? This grandpa is a big believer in both having fun and being safe, so he used his extensive engineering expertise to make sure that this roller coaster was safe for his grandkids to use. Definitely don’t try this at home unless you have an engineering degree. This whole area was pretty much just empty space before this DIY whiz got his hands on it. 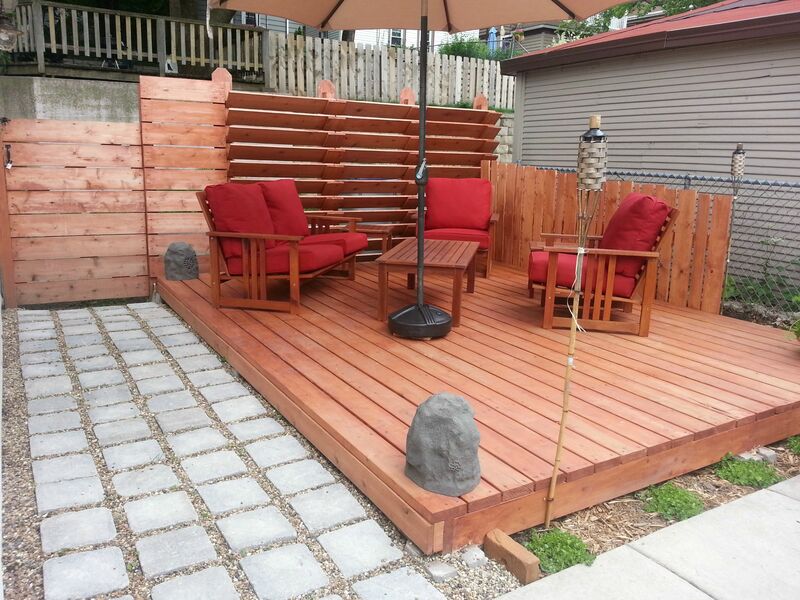 He build the fence in the background of this photo, as well as the deck and the tiled patio. Now this previously unused space is totally usable, not to mention beautiful. I would love to spend summer nights in this backyard. All that’s missing is a fire pit. I’m sure this guy is building a fire pit as we speak. 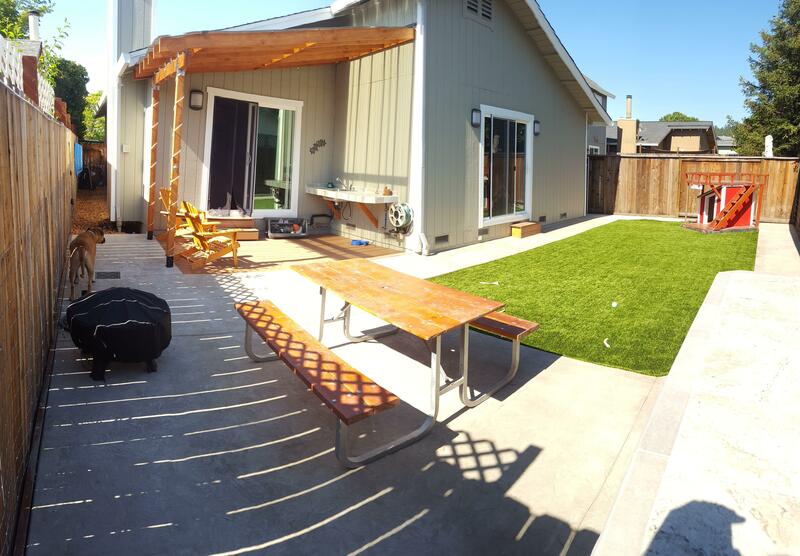 This Redditor learned how to re-do his backyard by reading a post by another Redditor. Redditor /u/stubborn_outlier did an AMA (or “ask me anything”) on a forum about landscaping. After this guy asked the expert a few questions, he realized that /u/stubborn_outlier lived just down the road from him. The expert stopped by to give this guy some pointers about how to fix up his yard, and this is the result. This looks like the perfect place to grill up some burgers and hot dogs. 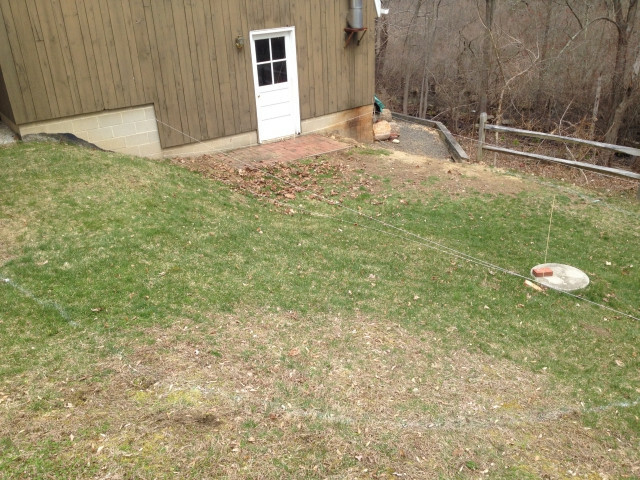 This Redditor didn’t know what to do with this plot of land at the back of his house. The land wasn’t really even so it was hard to put a table and chairs on it. The homeowner wanted this space to be inviting and usable. It took a lot of hard work, but this homeowner finally turned this space into something amazing. Keep reading to find out what this space looks like now. Wow! What a transformation! This backyard space is absolutely amazing. I can’t believe that this was a DIY project. I don’t think I could ever pull something like this off with my own two hands. 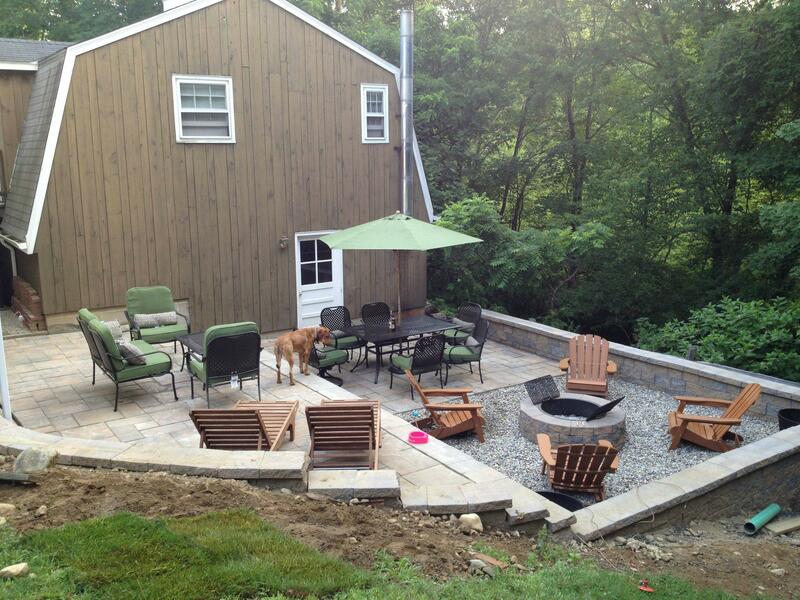 I think my favorite part of this renovation is the fire pit. If your backyard doesn’t have a fire pit, you’re seriously missing out. Who doesn’t want to make s’mores in their own backyard? 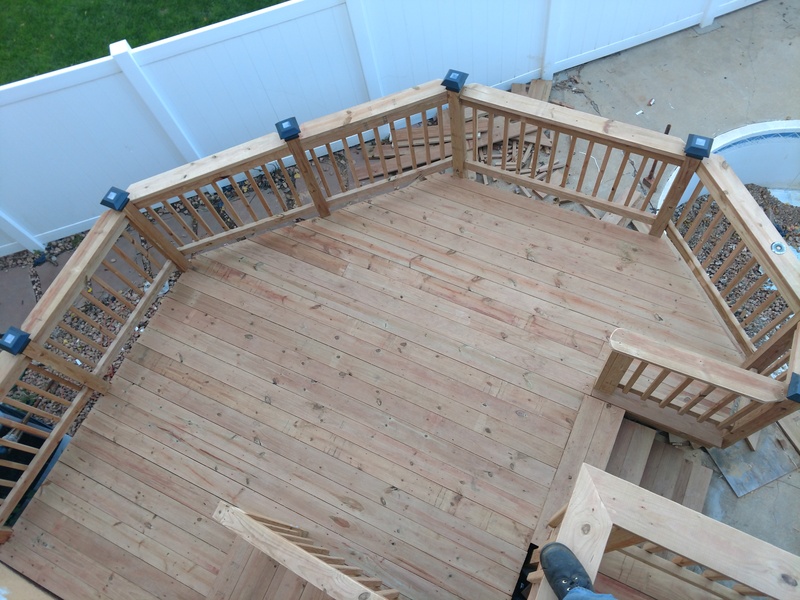 This homeowner constructed this gorgeous winding deck with his own two hands. This is not a simple square deck with regular corners and angles. A lot of preparation, craftsmanship, and expertise must have gone into this project. The end result is totally worth it though. People would pay thousands of dollars for a deck like this. Kudos, DIY master, wherever you are. Please come build a deck in my backyard next. This DIY enthusiast built this entire deck from scratch. This photo was taken after the second coat of stain was applied. 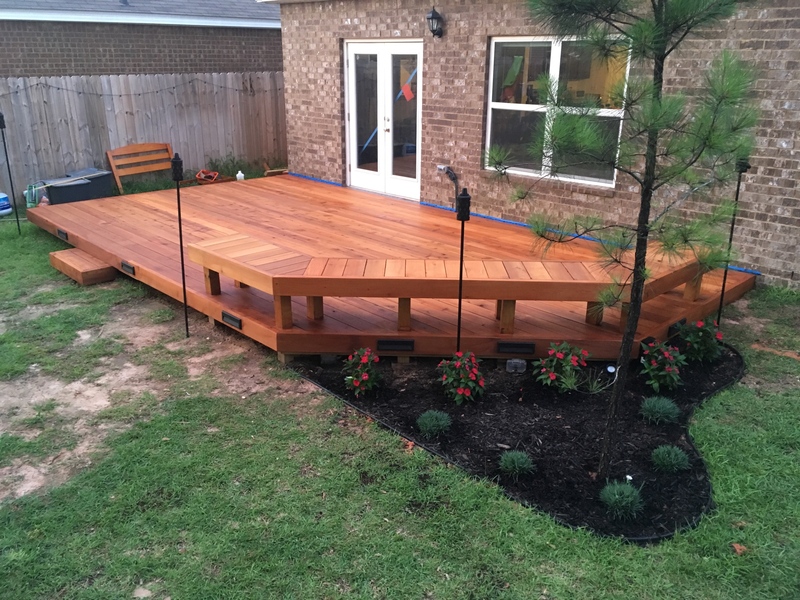 The deck measures 13’ by 24’, and the bench is 20″ wide and 15” up from the deck surface. The person who made this deck did a whole bunch of different tests and measured a lot of people’s legs to figure out the perfect dimensions for the built-in benches. 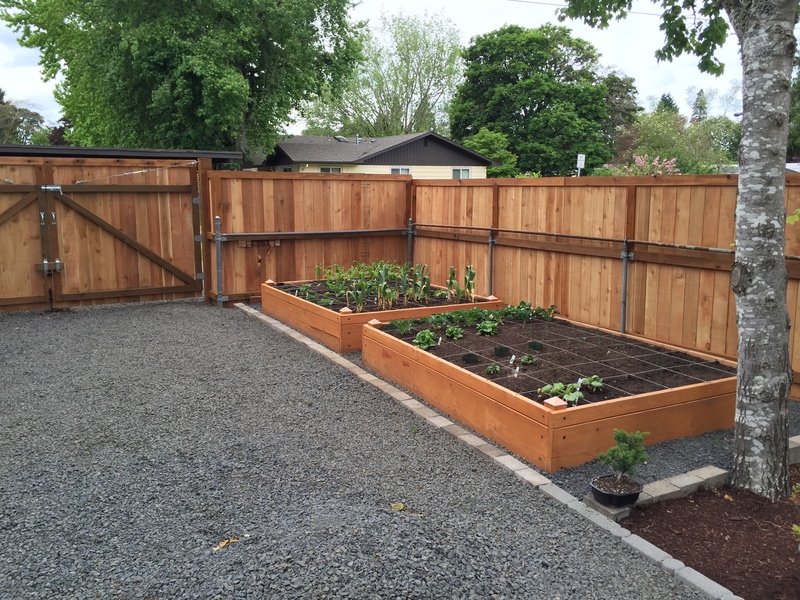 This family added some flair to their backyard by building and installing a few garden beds. Now they can grow their own delicious vegetables and herbs all year long. They also made a sundial (not pictured here) and they put in all of that gravel themselves. I would love to be able to grow my own vegetables in my backyard. Now I just need to find somebody to build me some planters. 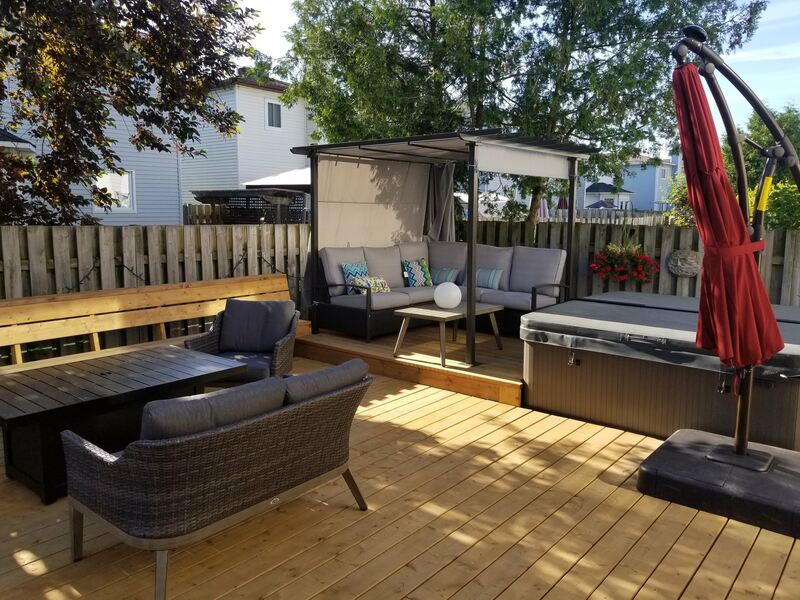 This guy completely re-did his backyard, but I think the highlight of the whole project is these swinging Adirondack chairs. This DIY king found some old Adirondack chairs, put arms on them, painted them red, and attached chains to them. He had to carefully position the chairs so that the chains wouldn’t damage them or cause them to be unsafe. He also built the awning above the chars and he installed the brick patio. When this father found out that he had skin cancer, he wanted to do something for his young daughters that they would never forget. He wanted to make something that would make them smile and he wanted to distract himself from upcoming cancer treatments. He decided to completely overhaul his family’s backyard. He basically built a princess fortress complete with a trampoline and various bridges. The father ended up bonding even more with his children in the building process. Who knew that cinderblocks could be so stylish? This is a lovely outdoor seating area made entirely out of scrap materials. 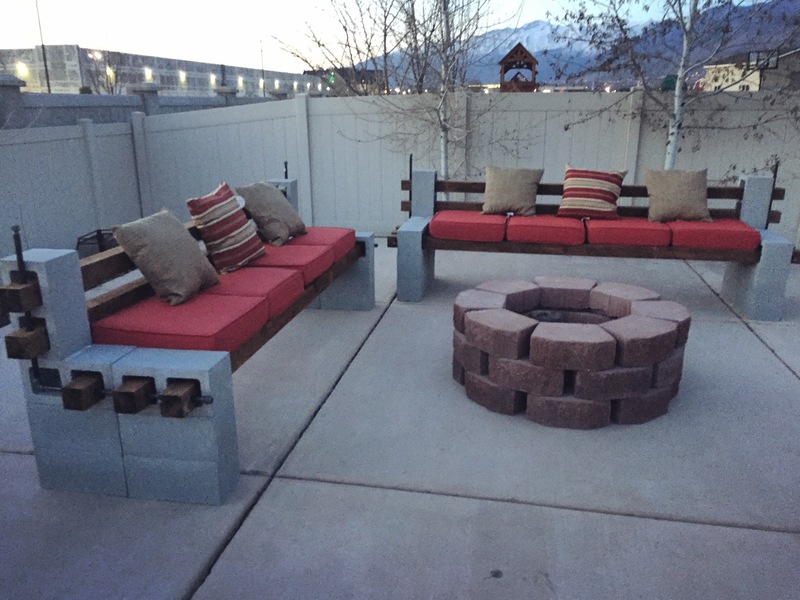 If you have some extra cinderblocks lying around your garage, why not put them to good use? We’ve already discussed how amazing fire pits are, but I think that’s a fact that cannot be overstated. If you don’t have a fire pit in your backyard, you should definitely create one. I think this might just be my dream backyard. I mean, what more could you want? Yeah it could be bigger, but they did the best they could with the space that they had. 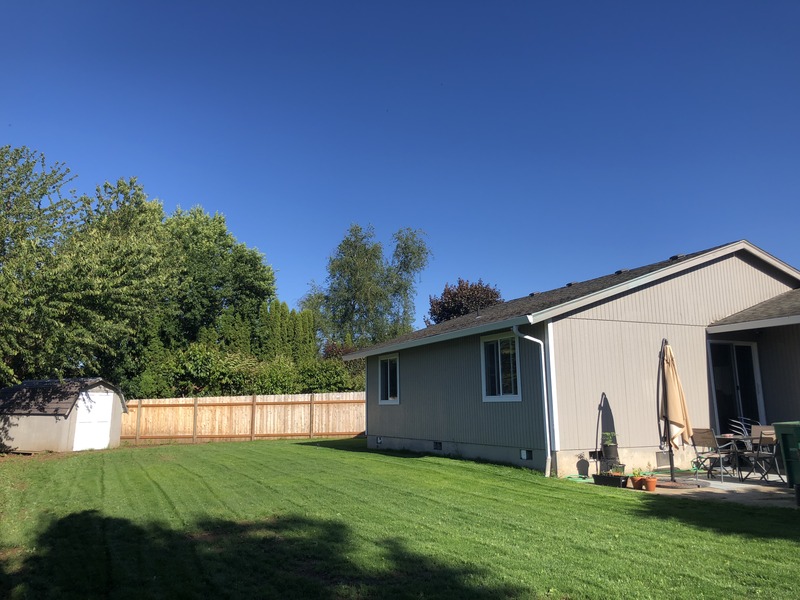 I know this just looks like a plain old yard to you, but all of this gorgeous green grass is completely new and installed DIY style. When the new homeowners bought this house, the yard was full of big piles of trash. The trash stopped sunlight from getting to the grass, so the back lawn was full of bald spots. The new homeowners decided to take out all of the grass and bring in new dirt and grass seed. This is the end result. 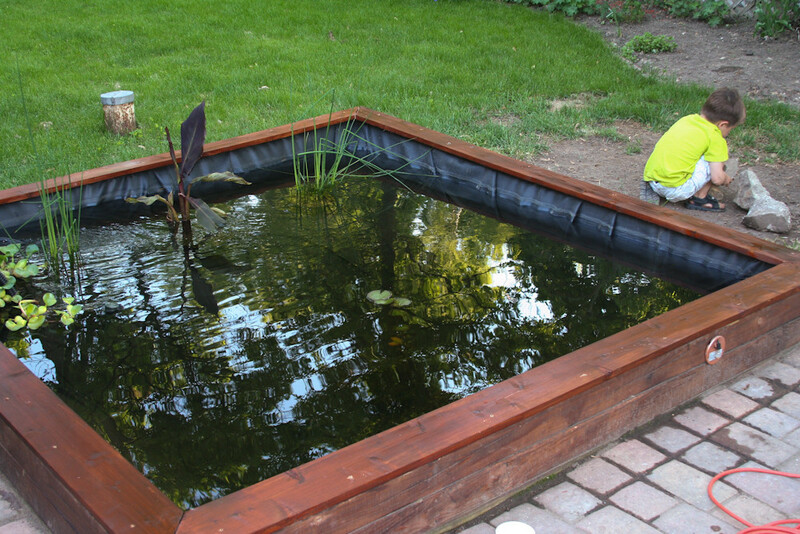 This very handy father built an in-ground koi pond with his five-year-old son. For a while, this father and son duo were using a small water trough as a koi pond. They decided that their fish needed some more room, so the expanded this planter into a fish paradise. They added a filtration system, some plants that koi fish love, and a few lily pads. They were even able to get a few more koi fish now that they had more room for them. 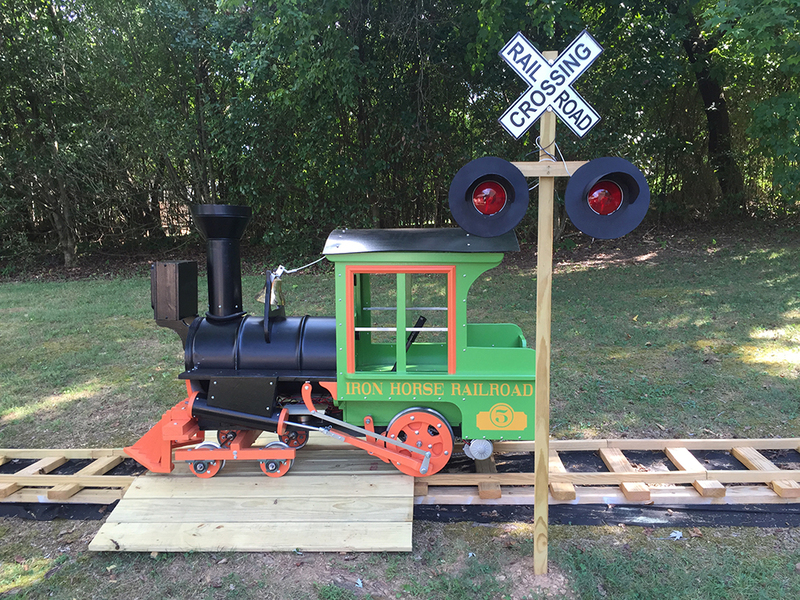 This grandfather built a train in his backyard from scratch for his granddaughter. Amazingly, he only used readily available materials. The train is powered by electric motors that are controlled by a custom-built computer circuit. The project includes 275 feet of track, an engine house, and a crossing signal with fully functioning lights and bells. What’s with all of these amazing, handyman grandfathers? Where do they learn how to do this stuff? This may look like a normal backyard alleyway to you, but just a few short weeks ago this space was completely full of mud. 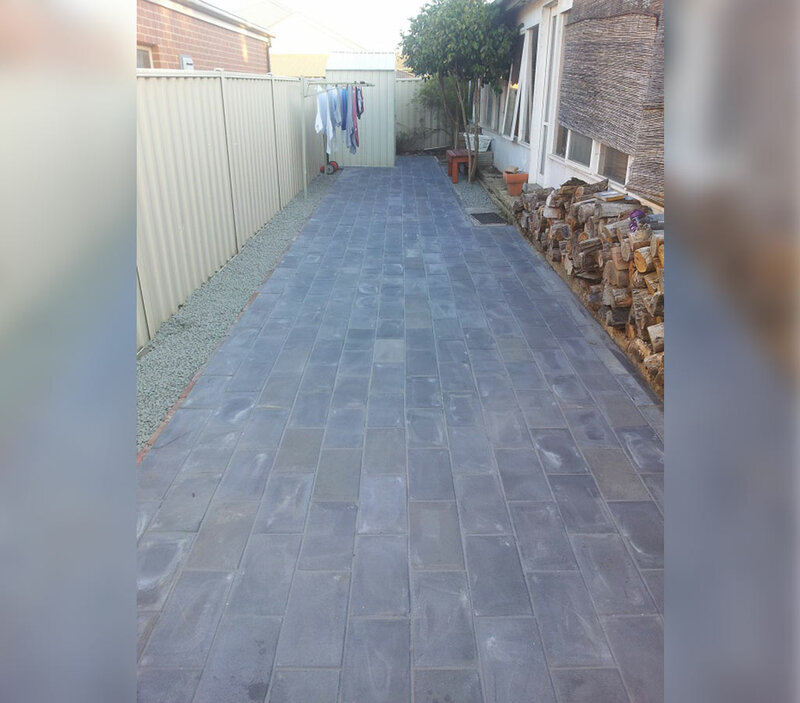 The homeowner decided that he wanted to try his hand at it and paved the space himself. He finished the job just in time for winter, which is great because the weather didn’t hinder his progress, but now he has to wait until next summer to fully enjoy the fruits of his labor. 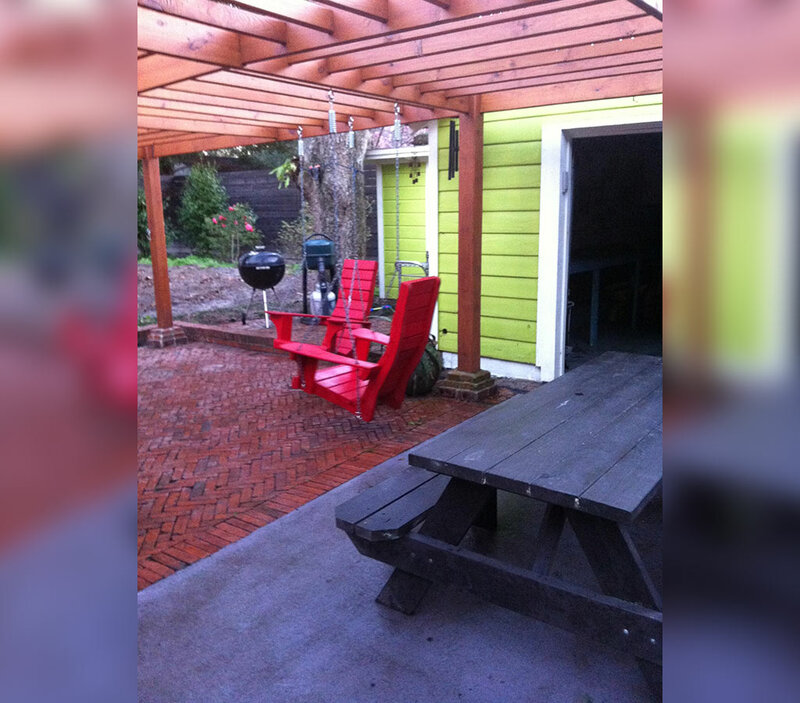 This amateur builder wanted a space in his backyard to store his tools and work on projects. He decided that if he was really going to call himself a builder, he needed to build a shed himself. The thing is, he didn’t have a building shed in which to build his building shed. That’s just the way the world works, though. 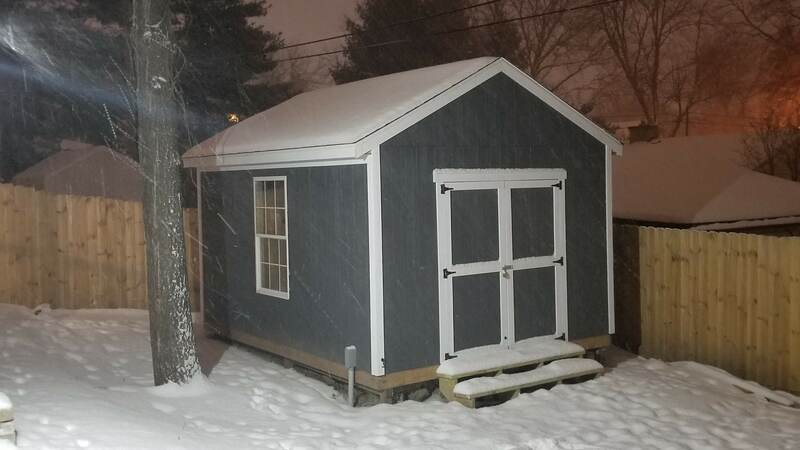 Luckily he finished building the shed before winter so none of his tools or wood got too wet or covered in snow. Everything you see in this photo (other than the house) wasn’t here a month ago. This homeowner worked landscape maintenance with his dad when he was younger. 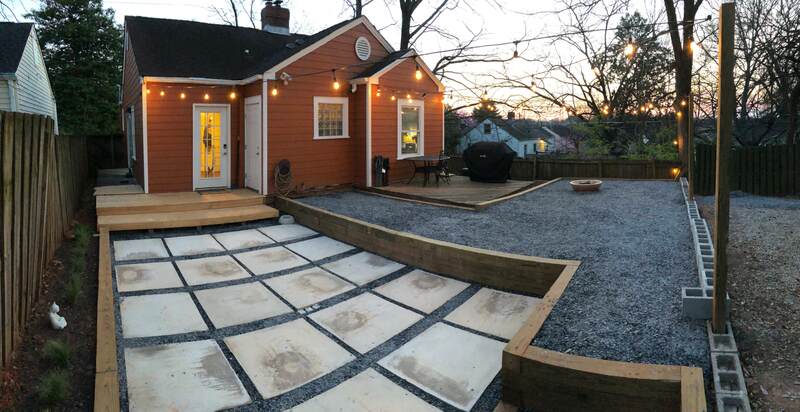 He absolutely hated mowing lawns, so he decided to minimize his lawn and build a patio. It looks like all that landscape maintenance work came in handy though, because he was able to fully design and create this space on his own. Why Not Build A Waterfall? Having a waterfall in your backyard is the kind of thing you think is only for rich people— but it doesn’t have to be. 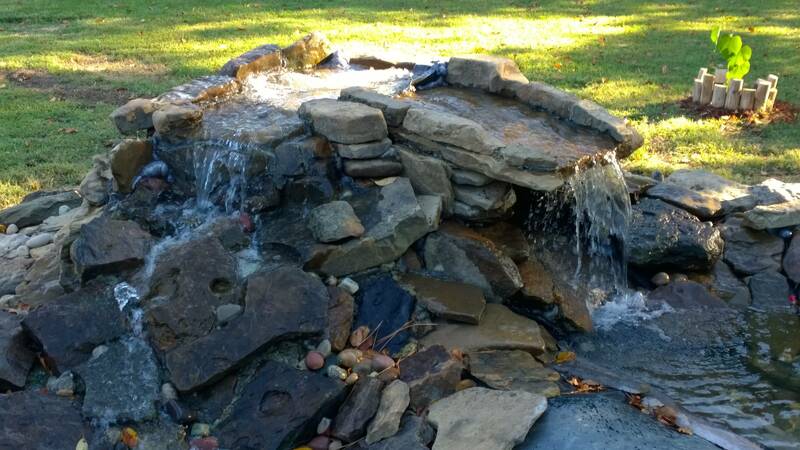 If you’re smart about how you get your materials and you have a little bit of engineering know-how, you could totally make a DIY waterfall in your very own backyard. Just make sure you know what you’re doing first, because this project does involve digging up a lot of grass. This grandson did his grandmother a favor by doing a little bit of landscaping in her backyard. This guy has never even tried landscaping before, so I think he did a pretty good job considering. 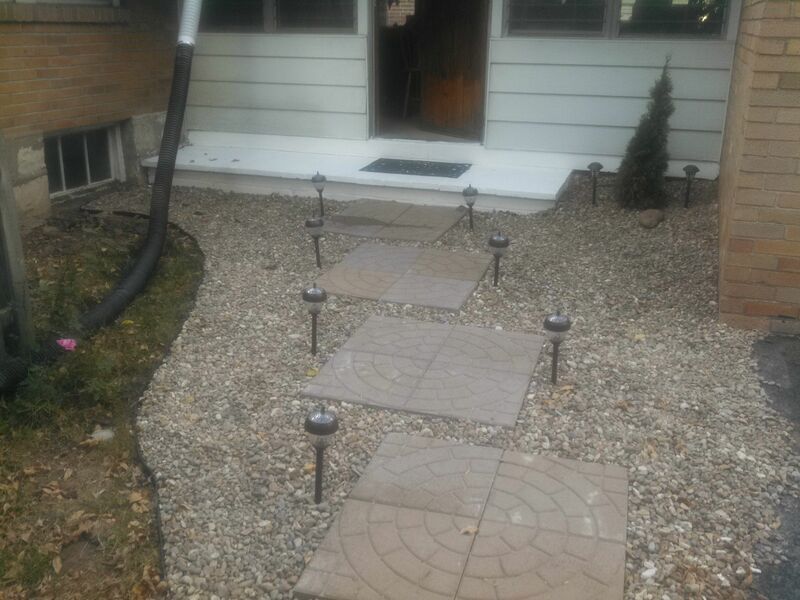 He lay down some tiles and some gravel, installed some solar lights, and repaved the entryway to her house. This is a lovely little walkway. I think this guy has a future in landscaping.